DENMARK: A date to repair two sections of the export cable at Dong Energy's Anholt project is yet to be decided, Danish transmission system operator Energinet.dk has said. 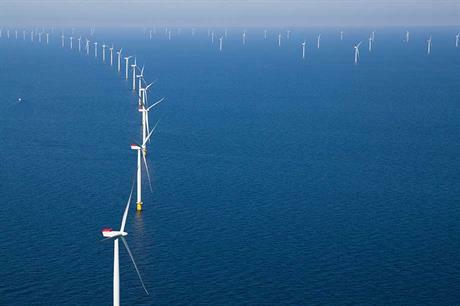 The 400MW Danish offshore project suffered weeks of down time due to a cable fault in February. Cable manufacturer NKT replaced the faulty section of cable in March and an independent authority carried out tests on the removed part. Following the investigation, Energinet and NKT agreed two further sections - one in the initial 400-metre stretch of cable from land and another in the last four kilometres approaching the offshore substation - carry a "risk of the same error" and should be replaced. When asked by Windpower Monthly, NKT and Energinet would not reveal the nature of the fault. The replacements, expected to take five to six weeks to complete, were due to begin at the end September. However, the work was later deferred indefinitely to allow NKT necessary time to prepare. Despite the risk, Anholt remains online. Energinet technical director Torben Glar Nielsen said Dong should expect between DKK 40-50 million (€5-7 million) in compensation.